Sturridge to Score Last - 41/10 at Unibet. Liverpool to Win to Nil - 21/20 at BetBright. For over a quarter of a century, a familiar refrain has been heard from Liverpool fans: this year could be our year. If it wasn’t for the imposing presence of Manchester City, it could well be. Jürgen Klopp’s side are the second favourites with bookmakers to claim the Premier League crown next May, and are available at 4/1 with BetVictor. However, the same firm has City priced at 8/13, and the champions are odds-on across the board. If Liverpool are to end their long wait for the title, they will need to improve on their home form from last season. One of their wins was a 4-1 victory over West Ham though, and the bookies fully expect them to prevail on Sunday. The Reds are 4/17 with Karamba, who have the Hammers at a whopping 12/1 and the draw available at 5/1. Is there any case to be made for a small wager on West Ham at that large price? Probably not. They only won three away games in 2017/18, at Stoke, Huddersfield and Leicester, with the latter occurring on the penultimate weekend of the season when the Foxes were marooned in mid-table with nothing to play for. They were arguably lucky to even win three games too. West Ham’s expected goal difference for away games was the fifth worst in the division last term, and on the underlying stats they only deserved to win the matches with Stoke and Leicester. The Irons may have brought in a title winning manager and splashed the cash, but it’s too soon to think they’ll win at Anfield. In terms of how the match will pan out, both the results when these teams have met and their records last season suggest it’s safe for football betting enthusiasts to expect goals. The last five meetings in all competitions have seen over 2.5 goals, and the last five league matches between Liverpool and West Ham at Anfield have all seen three-or-more goals too. Only Manchester City and Arsenal contested more league matches which featured over 2.5 goals than Liverpool did last season, and the former were the only side who topped the Reds for games which saw over 3.5 goals. West Ham were just behind Klopp’s side in the rankings, and both meetings last season ended in 4-1 wins for the Reds, so the bet here has to be for over 2.5 goals. It’s available at just 1/2 with Ladbrokes, and I wouldn’t rule out the 6/5 with the same firm for there to be over 3.5 goals either. However, while goals look to be guaranteed, the ‘both teams to score market’ is harder to call. Only two teams had fewer home matches where both teams found the net than Liverpool did last season, but only Leicester saw both teams score more on the road more times than West Ham. The bookmakers are finding it tough to predict too, with some offering identical odds for a ‘yes’ or ‘no’ bet. Liverpool should be stronger defensively than last season with Alisson in goal and van Dijk fully bedded in, so I’ll take 888sport’s odds of 6/7 that at least one side fails to score here. It won’t surprise anyone to see Mohamed Salah lead the goal scorer market. The 2017/18 Golden Boot winner is priced at 21/10 to score first, or 4/9 at any time, with Genting Bet. His 32 league goals last season included three against the Hammers, and he found the net home and away against them for good measure too. For better odds, it’s worth considering Daniel Sturridge. He may not start, but he’s available at 41/10 with Unibet to score the last goal, or 22/19 with them to net at any point. Sturridge was Liverpool’s only forward who appeared in all nine of their pre-season matches, and he scored six goals when no other Red bagged more than two. The former Chelsea man is Liverpool’s most in-form player, and will surely take some part in this match. For West Ham, there are long odds for any of their players to score. 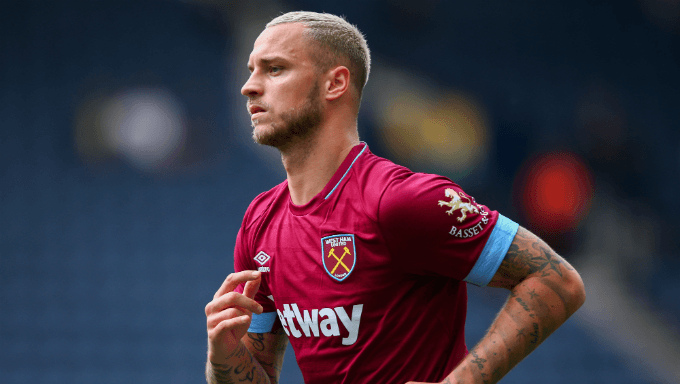 Marko Arnautovic is 12/1 with Sportnation to score first, or 33/10 at any time, while the same firm has odds of 14/1 and 4/1 respectively for Chicharito. The pair were the Hammers’ top two scorers last season, and both bagged five league goals on the road, so they are the logical choices if you want to tip a West Ham scorer. However, I think Liverpool will win to nil, and that’s available at 21/20 with BetBright.